Kathleen Fraser, beloved poet, essayist, and professor of writing at San Francisco State University, died on February 5, 2019, in Emeryville, California, of natural causes. Born in Tulsa, Oklahoma on March 22, 1935, Fraser attended Occidental College in Los Angeles before moving to New York City to work as an editorial associate for Mademoiselle magazine, pursuing her poetic studies with Stanley Kunitz and Kenneth Koch. At this time, she began to meet a number of poets associated with Black Mountain, The Objectivists, and the New York School. Among these poets, those to have most important influence on her work were Frank O’Hara, Barbara Guest, and George Oppen. She later counted the works of Lorine Niedecker, Charles Olson, and Basil Bunting as having a serious impact on her poetics. Her first book, Change of Address, was published by Kayak Press in 1966. She went on to publish another dozen poetry collections, including What I Want (1974), New Shoes (1978), Each Next, narratives (1980), Something (even human voices) in the foreground, a lake (1984), Notes Preceding Trust (1987), When New Time Folds Up (1993), il cuore : the heart, Selected Poems, 1970-1995 (1997), and movable TYYPE (2011). She collaborated on seven artist books, including boundayr, with Sam Francis, and ii ss, with Hermine Ford. She wrote a children’s book, Stilts, Somersaults, and Headstands: Game Poems Based on a Painting by Peter Breughel, published in 1968. A collection of her essays, Translating the Unspeakable: Poetry and the Innovative Necessity, was published in 2000. Dear Kathleen: On the Occasion of Kathleen Fraser’s 80th Birthday, a book of essays honoring her work and career, was published in 2017. Her Collected Poems is forthcoming from Nightboat Books. From 1972 to 1992, Fraser was a professor of creative writing at San Francisco State University, where she served as director of its Poetry Center, founded its American Poetry Archives, and wrote and narrated the video “Women Working in Literature.” She also taught at the University of Iowa, Reed College, and in the graduate writing program of California College of the Arts in San Francisco. 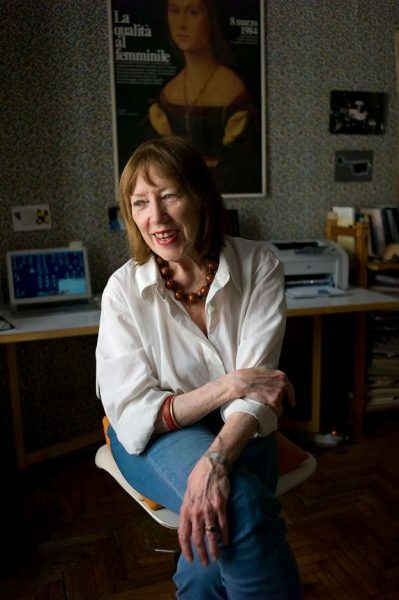 In the early 1980s, she founded and edited the journal HOW(ever), focused on publishing innovative writing by contemporary women and reprinting work by modernist women writers.Fraser was the recipient of two N.E.A. Poetry Fellowships and a Guggenheim Fellowship in Poetry that took her to Italy in 1981, unexpectedly turning her into a part-time resident of Rome, where she lived every spring with her husband, Arthur Bierman. He survives her, as do her son, David Marshall; sister, Anne Bagwell; brother, Jim Fraser; and niece, Beth Bagwell. © 2019 Nightboat Books | Site Development by Medium Rare Interactive Inc.